COMPATIBLE WITH DSLR / DV WITH A 3.5mm MIC IN JACK. 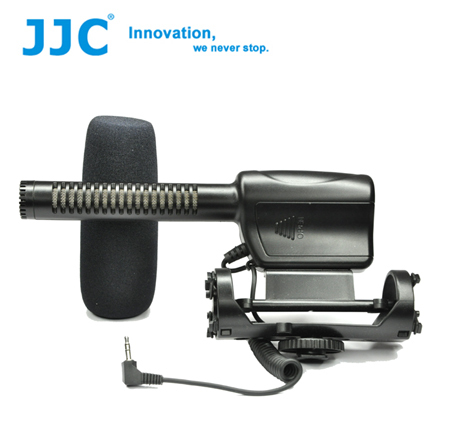 THE JJC MIC-3 Professional Camera Mounted Shotgun Stereo Microphone fits for DSLRs and/or DV. It is delicate and light, 2 built-in cartridges which are vertical to each other. The MIC-3 enables a natural sound pick-up. And it has a low voltage alarm indication, wide frequency, high sensitivity, and a strong directional long distance pick up that is natural clear and sweet. NOTE: Check your camcorder/SLR of a 3.5mm microphone jack before purchasing.